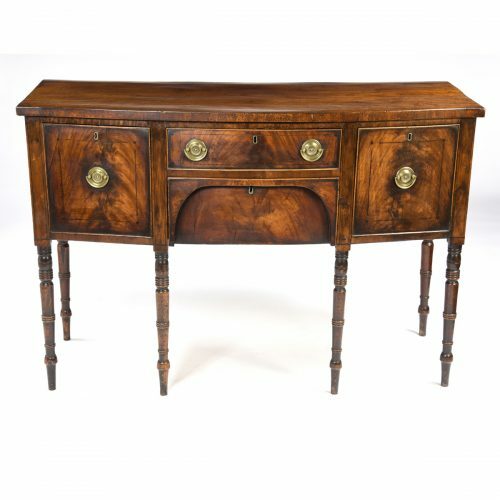 Antique English Regency mahogany bowfront sideboard of smaller scale. 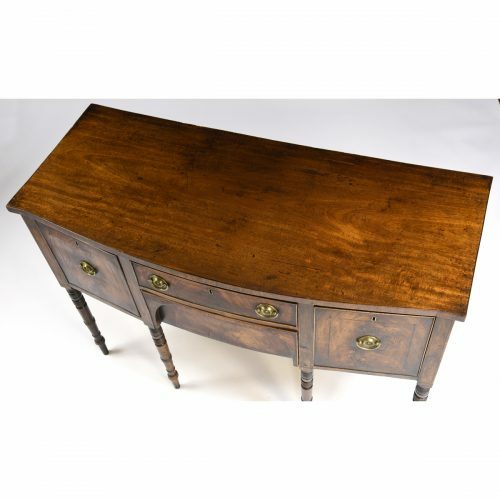 It has 4 oak lined drawers with replacement brass ring handles. 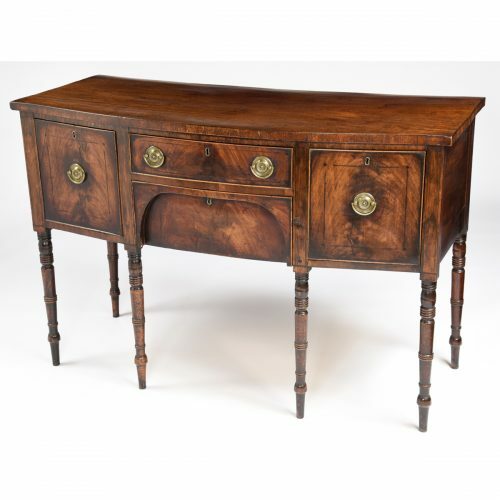 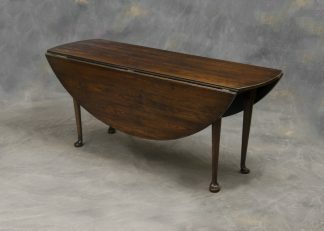 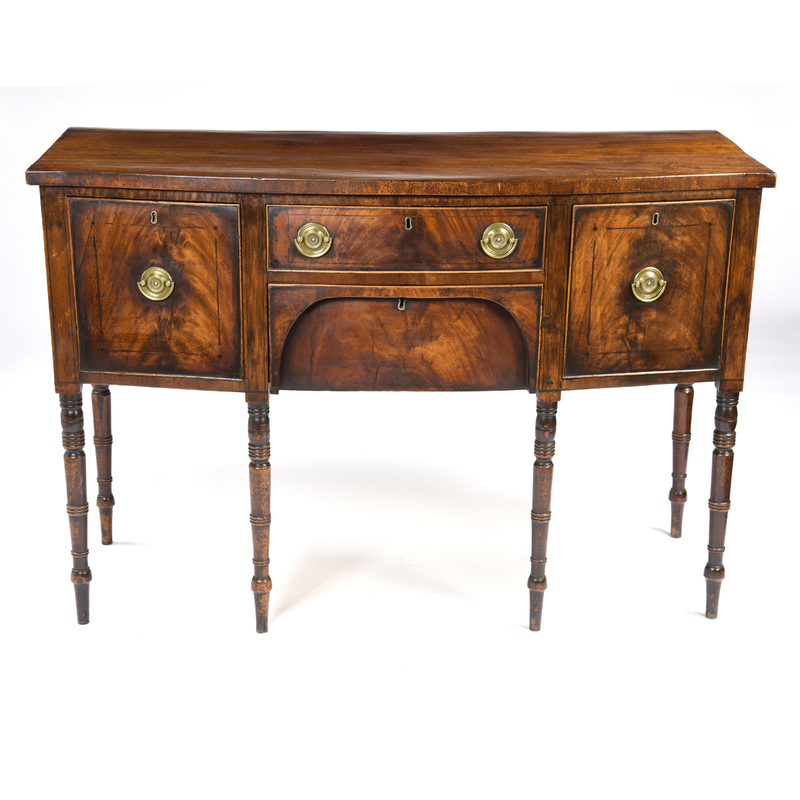 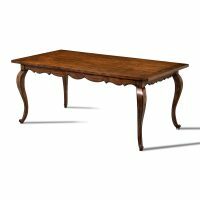 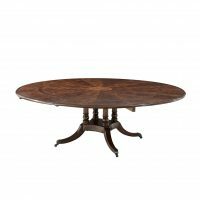 It has ebony stringing inlaid on the drawer fronts and stands on slender turned legs.